Matt Heldt goes up for a shot against Mount St. Mary's. Heldt's production this year has been largely offset by foul trouble. 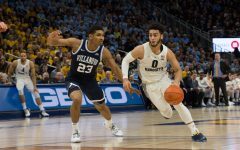 When the men’s basketball team had a chance to prove itself in one of the most well-respected and storied tournaments of the season, they did not let it slip away, coming in third place of eight teams at the Maui Invitational over Thanksgiving week. 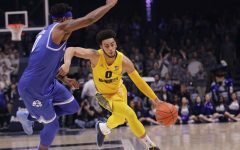 Getting third place in Maui is a big deal, however, for all the offensive firepower that Marquette flexed, the Golden Eagles still have a ways to go on the defensive end. 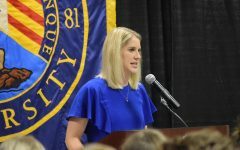 The Golden Eagles won their first game against Virginia Commonwealth with a barrage of 3-pointers and offensive rebounds. No. 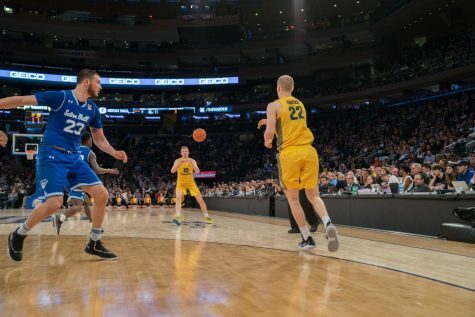 6 Wichita State’s length and depth outmanned and overwhelmed the Golden Eagles in the semifinal. 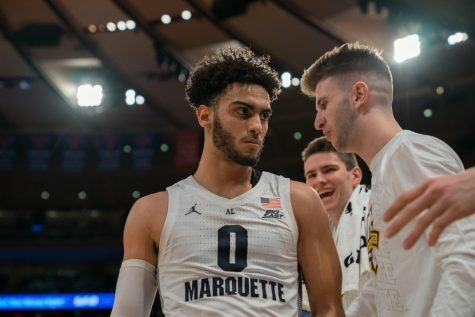 Guards Markus Howard and Andrew Rowsey combined to score 51 points, but with bigs Matt Heldt, Sam Hauser and Theo John all in foul trouble, Marquette could not keep pace. 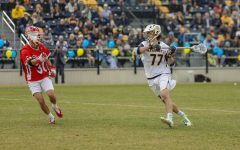 But the Golden Eagles did everything right against LSU. 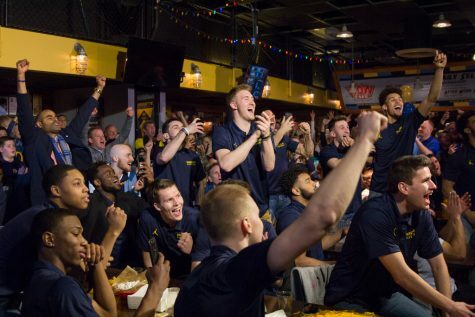 Sam Hauser had 12 of Marquette’s first 16 points and the team never looked back. Five Marquette players were in double figures, and Andrew Rowsey racked up 30 points on perfect 16-for-16 free throw shooting and was an obvious choice for the all-tournament team. 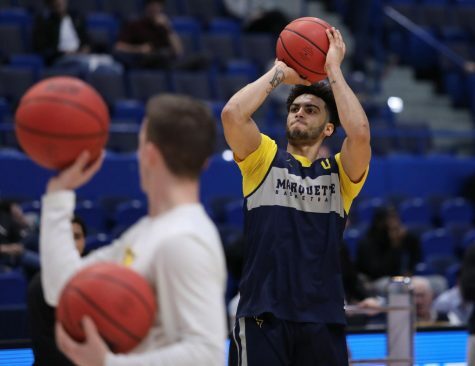 Marquette has some major points of emphasis and slight concerns to take back to the Al McGuire Center practice court. If one big man is in foul trouble, whether it be Heldt or John, the ensuing lineup has not been able to make up for it. 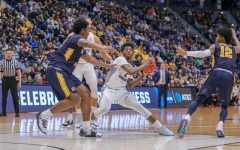 Every time a big gets three or more fouls, it hampers the offense’s flow and compromises their already suspect ability to defend the paint. 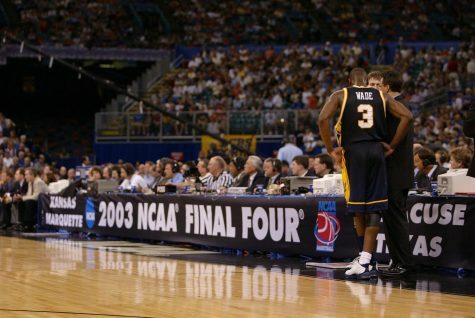 This would be less of a problem if Marquette didn’t foul all the time, but it’s a big issue. 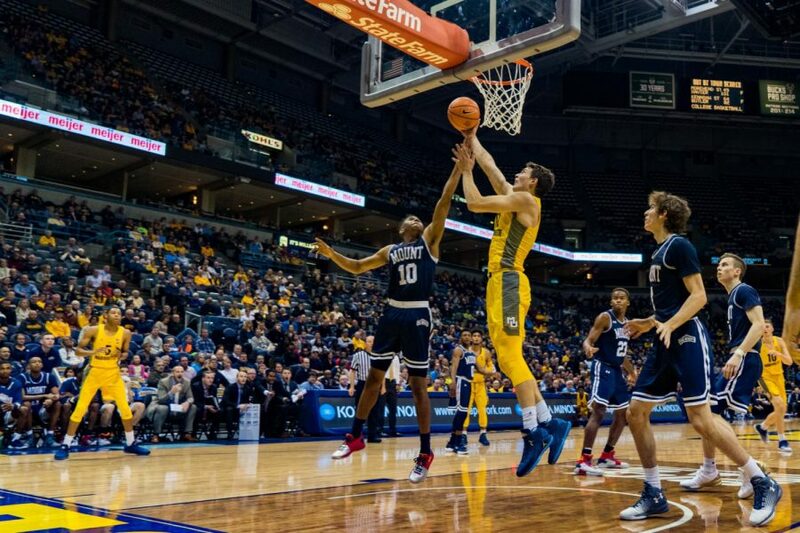 John fouled out in three of Marquette’s first five games. He played seven minutes against LSU, but still managed to pick up a foul. Meanwhile, Heldt fouled out once and is averaging three fouls per game. 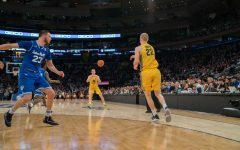 While the fouls may be concerning, it’s commonplace for bigs that have more playing time to struggle to adjust to the physicality of the collegiate level. 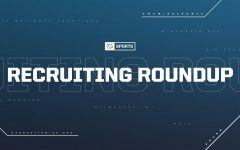 Sophomore center Harry Froling is eligible in late December, right in time for BIG EAST play, and it’s possible he might have some of these difficulties. 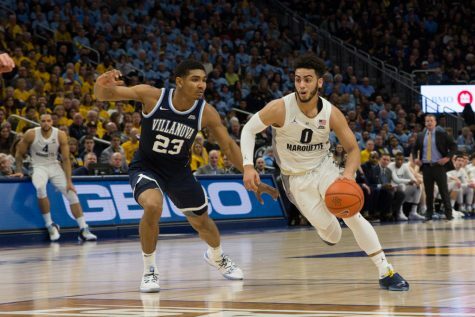 Marquette’s defensive woes, especially in crunch time, are far more troublesome. 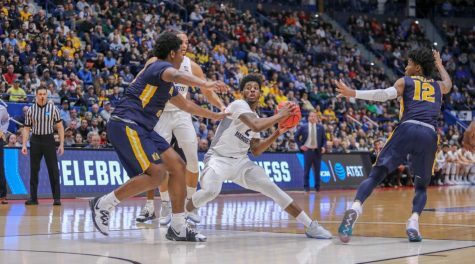 Although Marquette has more big men and defensive stoppers like Sacar Anim and Greg Elliott, it hasn’t necessarily translated to the stat sheet. Through five games, the defense has allowed 78.4 points per game, the worst mark in the BIG EAST. The LSU and Wichita State games didn’t do much to change that. 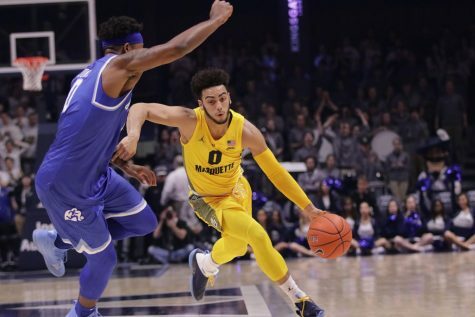 Tigers freshman Tremont Waters finished with 39 in the third place game, and Wichita State guard Landry Shamet had 19 in the semifinal. There were some positive takeaways from Maui. 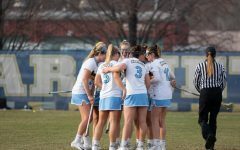 The Golden Eagles cannot only play the bigger schools, but win in convincing fashion with large point production from a variety of players. But the ability to score on this team and the over-aggressive nature of the big men has to change. 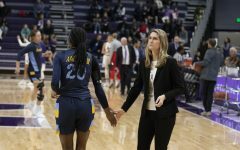 The team’s next tests will be against Vermont, Georgia and Wisconsin, all of which play differently from the Golden Eagles’ run-‘n-gun style. The trip to Hawaii was certainly a step in the right direction, but those few games may be even more revealing.